Selling Parker foreclosures, Parker HUD Homes and Parker Bank Owned Homes. We provide the most comprehensive information for Parker Foreclosures, Bank Owned Houses, homes and more. 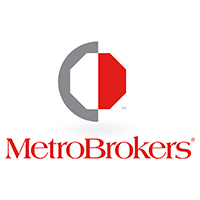 You will not find another web site for Bank Owned Homes, Foreclosed homes, HUD Homes, houses and town houses in Parker or any other part of the Denver Metro city that has more information. Use our Bank Owned Search to find the right bank owned, HUD home or foreclosed home for you. Can't find what you need on our website? For a full, custom list of Bank owned, HUD and Foreclosed homes in Parker prepared by your Parker Realtor, email us at info@petrelliteam.com or call 303-726-1874 and we'll email you a complete list of Parker Bank Owned, Parker HUD Homes, and Parker foreclosed homes available on the market today.